Commerce coaching in Patna. 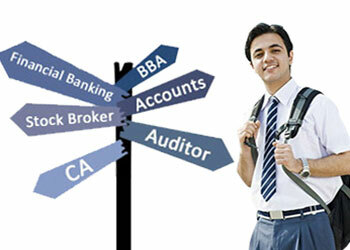 Chartered Academy is well known as best commerce coaching in boring road Patna. If you are looking for one of Top 10 commerce classes in boring road patna or best CA institute in patna or best cpt coaching in patna or ca / cs classes in patna bihar or chartered accountant course in Patna bihar then Institute of Chartered Academy in boring road patna is best. commerce Tutorial for class 11 and 12, CPT, CMA and Accounts coaching run by Sri Kailash Sir – The Success Guru in Patna. Having more than 10 years of success records and expertise in commerce coaching in Patna, Chartered academy has established its name as top commerce coaching and tutorial institute in Patna, Bihar. Commerce courses offered by chartered academy include : CA – Foundation, CA-CPT, CA-Intermediate, CA-Final, CS-Foundation, CS-Executive, CS-Professional, XI and XII. The education sector in patna bihar is flooded with coaching for commerce students after passing X or XII 2018. Students must opt for the best coaching and course in Commerce studies to build up a successful career in life. Our mentors are highly experienced and teaching methodology is very different than other commerce coaching in Patna. Why choose Commerce as a career ? Commerce is the backbone of any country’s economy and It is also the backbone of the Market. Commerce is an essential part of business covering its economic aspect. It involves activities like exchanging goods, money and services between companies and persons. The commerce is a gateway to the world of finance and accounts. Any business entity, from an unorganized business set up to a highly organized corporate company, requires professionals with knowledge in finance and accounting. Over the years, importance of commerce as a stream in our country has increased with the integration of the world economy. Excellent graduate and undergraduate courses in commerce, banking, finance, accountancy and management areas are offered across the country .These courses ensure very bright professional career for students passing 10th or 12th class . Students who are looking for commerce / accounting qualification that will get you a job or career growth in Indian financial market are invited to join Chartered Academy in Boring road, Patna and must see our previous success records and teaching methodology which makes us stand apart from other commerce coaching in Patna, Bihar. Chartered Academy in Boring Road, Patna has established its name as most preferred commerce coaching institute and commerce learning destination in Patna. We have been rated as ‘Best commerce coaching in Patna’ for imparting quality educational service to students of 11th, 12th and CA. Faculties at Chartered Academy, Patna emphasize on basics and ensure complete understanding of each topics giving individual attention to students.